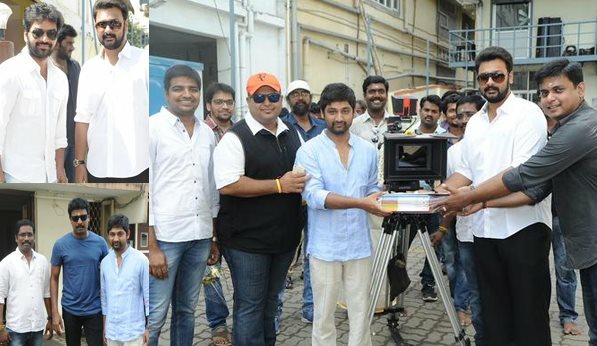 Director Thiru and Jai’s upcoming film went on floors today [April 22] with a formal muhurtham pooja held in Chennai. Sushant Prasad and Varun Maninan producing Jai starrer enjoys Thaman's music. Taapsee is roped in to play Jai's love interest in this upcoming Tamil entertainer. The film’s producer, Sushanth Prasad said that the pooja was conducted at ACS’s office today toeing in line with the Mankatha sentiment. Stating that the muhurat of the Ajith starrer Mankatha happened at the same place a few years ago, the producer added that it is a sentimental place for him. Jointly produced by Film Department and Trisha’s fiancé, Varun Manian owned Radiance Media, choreographer, actor and director Prabhu Deva will be seen in a key role in this untitled Jai-Thiru film. We at KollyInsider wish Jai, Taapsee, Thiru and their team on their new project.